IAS/SASH Colloquium on “Scoping the Next Era of HIV Social Science in Africa: Who? What? How? 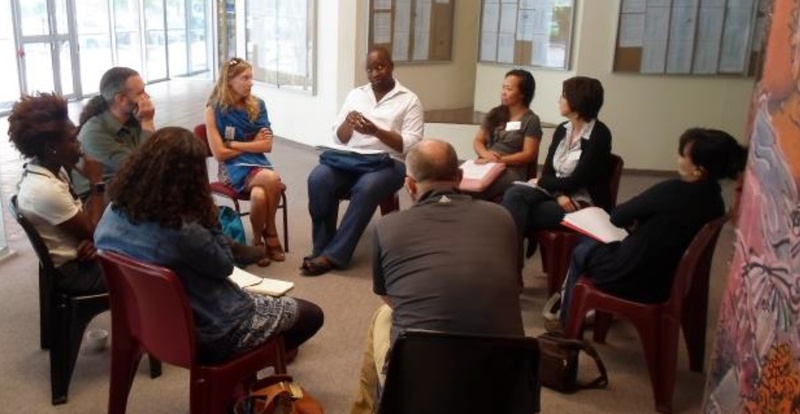 The IAS/UCT Colloquium, Scoping the Next Era Of HIV Social Science In Africa: Who, What, How? was held on Thursday, 5 December, at the Centre for African Studies Gallery, Upper Campus, University of Cape Town. The half-day colloquium brought together 80 interdisciplinary scholars working on HIV social science in Africa. They were engaged in a lively conversation, debate and agenda-setting for the new era of HIV social science in Africa, to 1) develop relationships and communities of mutual interest and practice (the ‘who’) and 2) identify the key HIV social science questions, concepts, and priorities going forward (the ‘what’), and 3) discuss the research projects, methodologies, initiatives, funding, collaborations, and theories needed to do this work (the ‘how’). The discussions were guided by Hakan Seckinelgin (London School of Economics); Sanyu Mojola (University of Colorado at Boulder); Christopher J. Colvin (University of Cape Town) and Mark Lurie, (Brown University) as they introduced the role of the social sciences in HIV. This was followed by three break-out sessions for focus group work which delved into details of the discussions. Group rapporteurs reported by the end of the day and the Colloquium was concluded with strengthening of networking between young social scientist and with a greater clarity on the evolving agenda HIV Social Science In Africa.